Hi there! 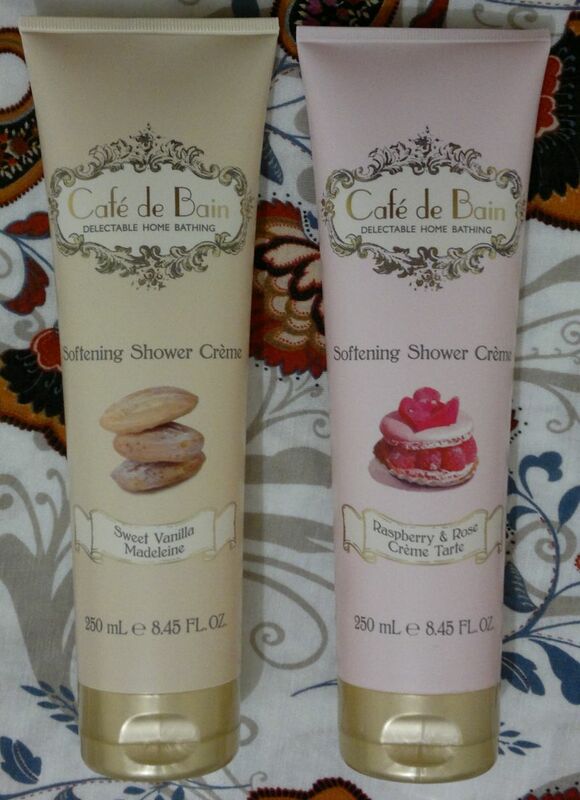 Today’s post is about Café De Bain Sweet Vanilla Madeleine and Raspberry & Rose Crème Tarte shower crèmes which I picked up a little while ago (Superdrug). Let’s start with Café De Bain Sweet Vanilla Madeleine! This shower cream smells like Werther’s Originals Butter Candies. 100% delicious! I also like that this shower cream is not drying at all. This one’s really nice! Café De Bain Raspberry & Rose Crème Tarte shower cream is just as gentle on the skin. This shower cream smells sweet and fruity, but it’s not sugary-sweet. I’d describe the scent as a mix of milk and red fruits with a hint of coconut.